Today more than ever, with the left increasingly holding on to the past of the welfare state as an ideal, and the right quietly revolutionising our world through neoliberal reforms, the paradigms of radicalism and conservatism need to be redefined. Can conservatism be seen as a radical position in itself? 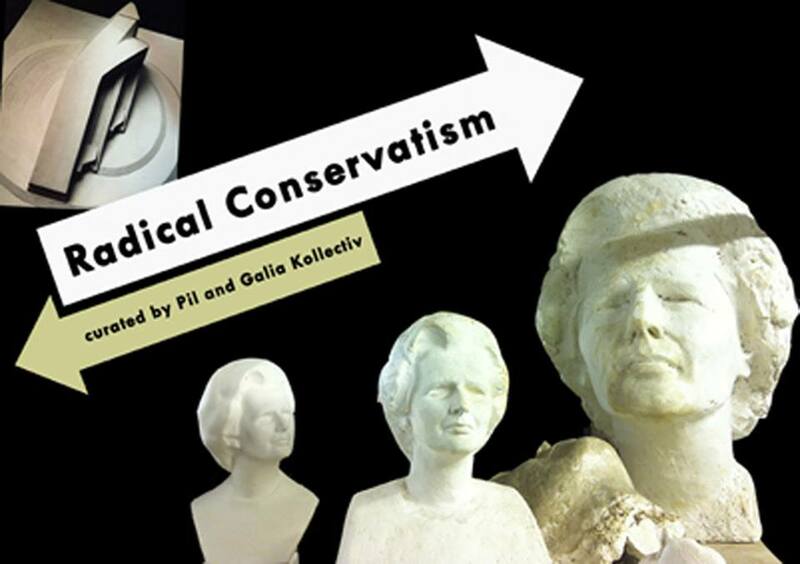 FREE // Book a place at radicalconservatism.eventbrite.co.uk, by emailing jennifer@castlefieldgallery.co.uk or phone the gallery on 0161 832 8034 // More info at castlefieldgallery.co.uk // The Radical Conservatism exhibition continues at Castlefield Gallery to Sun 2 Feb 2014. Alun Rowlands is a curator, writer and Professor of Art at the University of Reading. He co-curated The Dark Monarch at Tate St Ives and Towner Eastbourne in 2010. He has a particular interest in the ways in which artists and writers create social interstices through itinerant self organisation, samizdat publishing and collaboration; alongside the history of alternative spaces and notions of the artists’ colony. Robert Garnett is a writer and art-ctitic based in London. He has written for a wide variety of Uk and international art publications, including regular contributions to Art Monthly and Frieze. Robert is co-editor with Andrew Hunt of the critically acclaimed anthology, Gest: Laboratory of Synthesis #1, (London: Bookworks, 2008), initiated by a series of events and discussions during the exhibition ‘Gest’ — at the Stanley Picker Gallery, Kingston University. Robert’s other recent work explores the concept of humour in the writing of Giles Deleuze. Chris Evans’ work often evolves through conversation with people from diverse walks of life. Sculptures, letters, drawings, film scripts and unwieldy social situations created as a result of this, are indexes of a larger structure through which Evans deliberately confuses the roles of artist and patron, genius and muse. Evans has exhibited widely and is currently showing work in ‘The Narrators’, Walker Art Gallery, Liverpool, curated from the British Arts Council collection. Recent exhibitions include solo presentations at Juliette Jongma, Amsterdam (“CLODS, Diplomatic Letters”, 2012); Luettgenmeijer, Berlin (“Goofy Audit”, 2011) and group exhibitions at Marianne Boesky, New York (‘Specific Collisions II’, 2013), De Appel, Amsterdam (‘Bourgeois Leftovers’, 2013); Witte de With, Rotterdam (‘Surplus Authors’, 2012) and performances at Wysing Arts Centre, Cambridge, UK & The Northern Charter, Newcastle, UK (‘Errors Hit Orient’, 2013). In 2014 Evans will participate in the Liverpool Biennial.